How powerful is the engine? How much room is in the back seat? 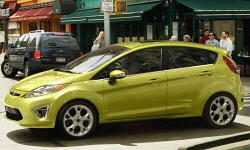 Get the 2012 Ford Fiesta specs. Curb Weight 2628 lb. 2587 lb.